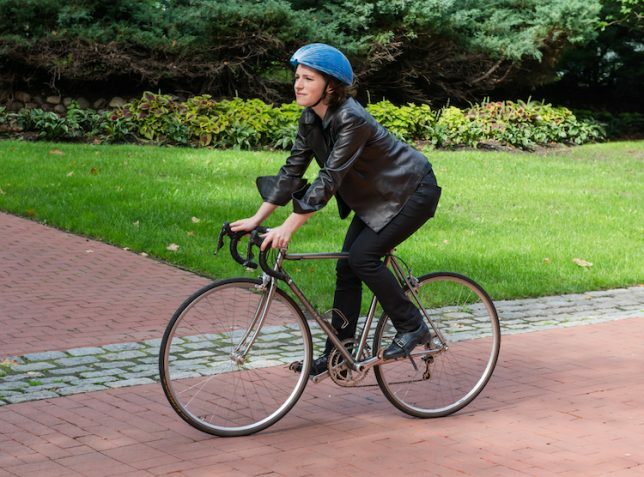 As urban cycling continues to increase in popularity, bike commuters still face the same challenge: carrying a clunky helmet with them wherever they go. For part-time, on-demand cyclists in places with bike share programs the problem is even more pronounced: hopping a ride is simply not a safe option unless they happen to have headgear handy. 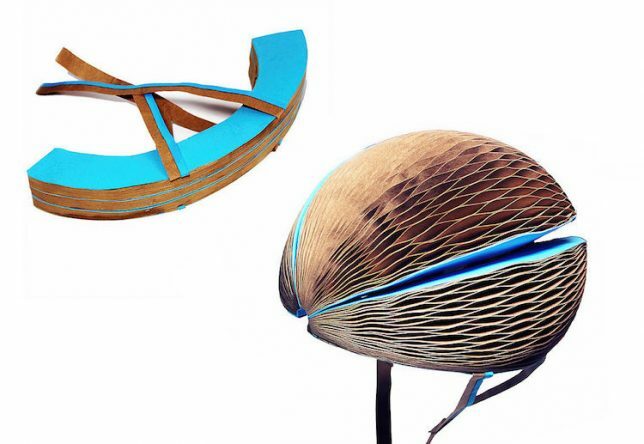 Hence the EcoHelmet by Isis Shiffer, a graduate of the Pratt Institute of Design in New York. 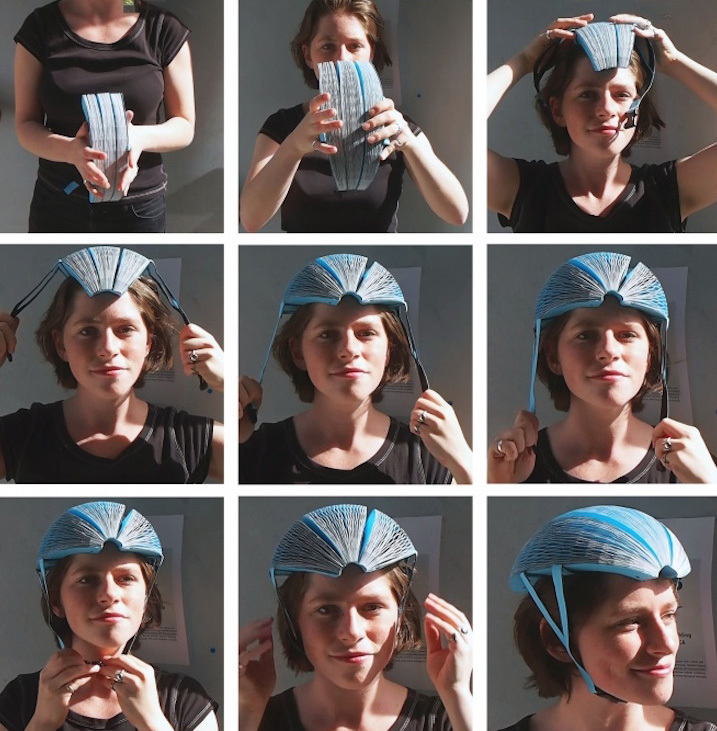 Her collapsible helmet is designed to be low-cost (around $5) and easy to pack into vending machines paired with bike sharing stations. Recycled paper is woven into a folding honeycomb structure that is light, durable and portable, forming a protective cover in moments. 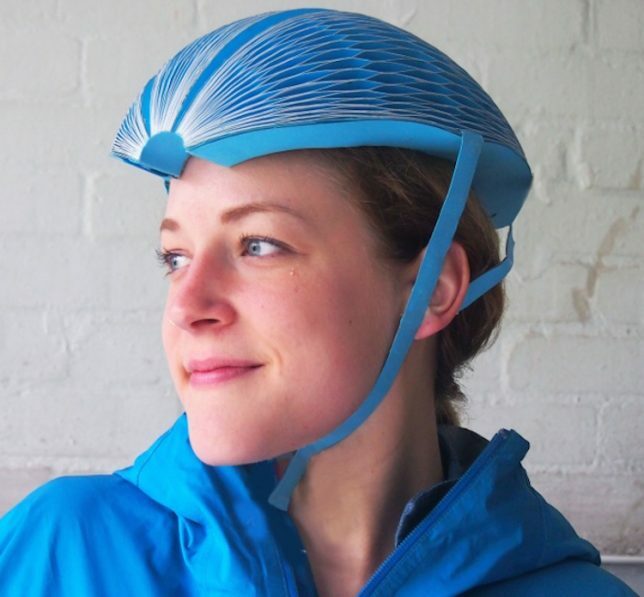 A waterproof coating also protects the helmet from rainfall. Paper sounds like an implausible material, but the design has passed European safety reviews and is looking for approval in the United States. Still skeptical? The video below features some impressive impact tests — sure, the helmet may need to be replaced after an accident, but if it does the job in the moment that is what really matter. The low price tag presumably makes these cheap enough that riders won’t balk at buying one even for a single ride (though hopefully they would save and store them for future trips given how compact they are when folded up.